Welcome back to Scavenger Hunt Sunday. We’ve had a week of growing pains this week – specifically, more teething. I think Felicity is working on her molars (at least that seems to be what will come in next) or incisors. Whatever is coming in has really been bothering her. I hope it’ll pass soon. Until then, let’s get back to the hunt. For those of you who didn’t participate this week, but want to participate next week…next week’s list is sponsored by Kimberly at A Fresh Perspective. I hope these prompts inspire you! Saturday morning, I went to the gym. 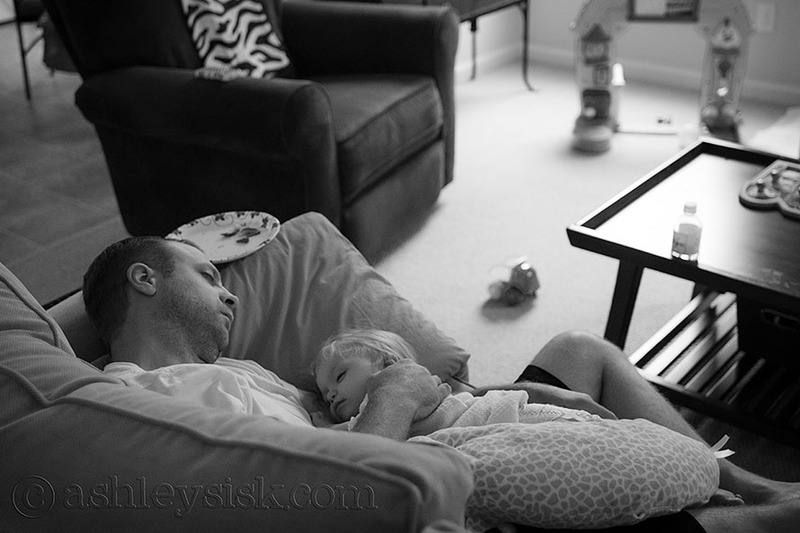 When I came home, I found my husband and daughter resting on the couch. Neither of us (my husband or I) have many chances to relax so I think this counts. Ignore the mess. 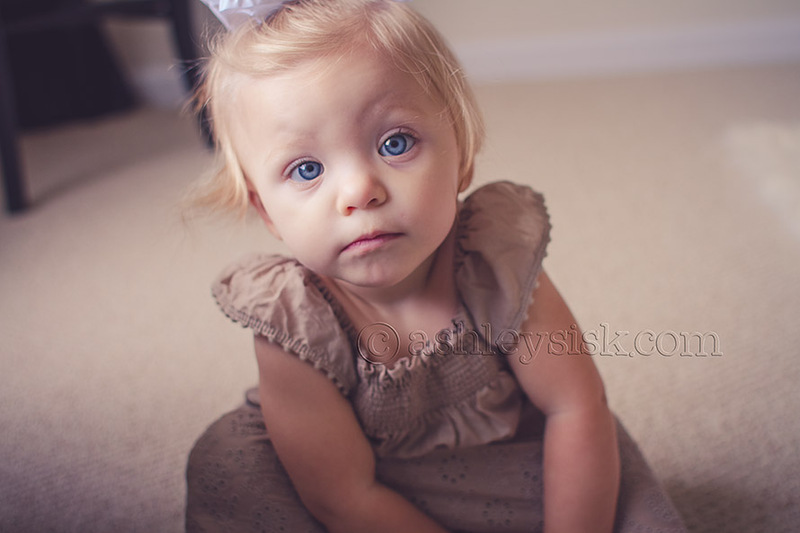 Felicity has inspired me to be a better person from the moment she was born. Everything is so new to her…and when I try to see the world through her eyes, I want nothing more than to make it a better and brighter place. By the way, I’ve been test driving some new presets and actions over the past week or so. For this particular photo, I used Dee Sisk’s Lightroom 4 Essentials Collection – Soft Vintage. So lovely. Written words are hard to come by anymore. I, personally, still love a handwritten note. They are so much more personal than emails…especially when it comes to thank you notes. My grandmother was the queen of thank you notes. When I saw this prompt, I thought of her. 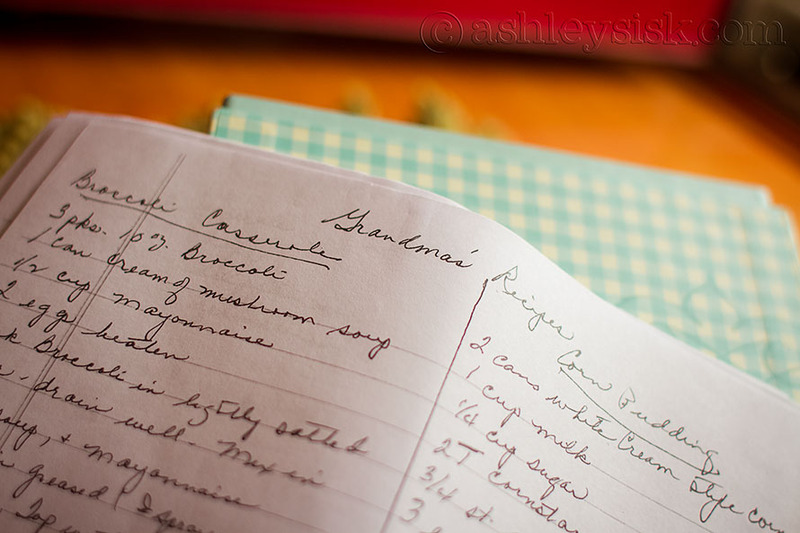 One of the things she did before she passed last year was to write all of her favorite recipes down so that each of her children and grandchildren could have a copy. Some of them make me laugh…such as “Catherine’s favorite…” I laugh because what she had labeled as “Catherine’s favorite,” Catherine actually didn’t like at all. Go figure. 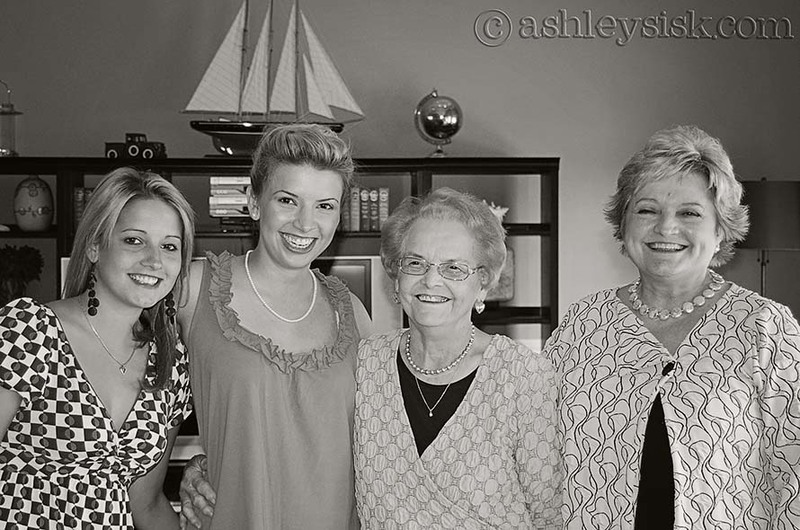 Speaking of Grandma…this photo was taken at my bridal shower in 2009. For whatever reason, when I saw this prompt, I thought of this shot. I guess I’m missing her a little bit. I almost used a picture of Felicity for this prompt. I mean, my mom and I are besties…and I imagine that Felicity and I will be as well (ya know, as adults). But outside of the one I birthed, I do have a few other best friends. 1 – My husband. Then there is Jenn and Beth. They’ve been by my side since college and I can’t imagine life without them. Love you girls! PS: my friend Michelle took this photo during Felicity’s birthday party. So, what were your interpretations of the items this week? Be sure to load your pictures on your blog (or your Flickr photostream) and link up at the bottom of this post. Feel free to grab a button to display on your blog along with your scavenger hunt items. The linky will be open until Tuesday night at midnight (EST). If you didn’t participate this week, but want to participate next week, the items below are sponsored by Kimberly at A Fresh Perspective. Thanks Kimberly for the list (straight from the dictionary if I remember correctly). If you’d like to contribute items to the list, just send me an email with your suggestions (I can better keep track of them this way). Each week, I will select one reader’s prompt list and give the selected reader a shout out on my blog during Scavenger Hunt Sunday.